Receive notifications of upcoming events, alerts, schedule change notices and other news! 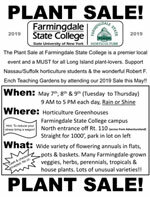 Welcome to The Long Island Dahlia Society's Website! Open the Calendar to see all LIDS and dahlia related events and sales. Meetings are held year round, on the third Thursday of the month. Locations of our meetings vary so please check the LIDS Calendar above each month for time and location. Note the July meeting is held on a Saturday in the William Wolkoff Garden. Most meetings provide a dahlia education session on dahlia care through the seasons. Meeting include coffee and snacks and provide members an opportunity to share dahlia knowledge and obtain advice. Meetings are open to all and are free to the public. Most Saturdays during the year our volunteers meet at 9:00 AM at the William Wolkoff Dahlia Garden in Bayard Cutting Arboretum. Check the calendar for specifics. Volunteers support the garden by preparing the tubers for planting, maintaining the garden during the bloom time, digging up the tubers at the end of season, and preparing them for storage. Each season provides a hands-on dahlia care learning experience, all are welcome. Work in the garden is followed by coffee and cake at 11:00 am.